Tomorrow night, on February 21st the Legacy Fighting Championship promotion will take their show and invade the Cowboys Dancehall in San Antonio, Texas. The popular Texas-based promotion will promote the Legacy FC 28 event and they will continue on with their reputation of featuring New Mexico fighters. In their last several events, Holly Holm, Leonard Garcia and Tim Means have all found themselves getting good air-time and winning bouts emphatically. This time around, a wave of three fighters representing the Jackson-Winkeljohn gym will march their talents across the Texas border looking to pick up career defining victories. For each fighter, the fight will be significant for their own unique reason and bringing home a win will mean something vastly different. They will be groomed by some of the sport’s best coaches including Brandon Gibson and Mike Valle who are two of the lesser-known coaches within the gym but are just as knowledgeable and talented to guide these fighters to the next level of their careers. Let us take a look at the three fighters fighting and why their bouts are of great significance. “The Angel Of Death” has a lot riding on his fight tomorrow night, with a win Damacio Page could be one step closer to a UFC return. Easily one of the state’s most popular fighters and most recognizable face, “The Angel of Death” Damacio Page (16-9)at one time stood atop the heap of 135-pound fighters while competing within the ranks of the now defunct WEC (World Extreme Cagefighting) and UFC promotions. Page has been inside the cage with current UFC Flyweight Champion Demetrious Johnson and holds a notable victory over UFC Flyweight standouts Will Campuzano and Scott Jorgensen. Page has revamped his career fighting for the Legacy FC promotion; back at Legacy FC 20 in May of 2013, Page showed why he is considered one of the most dangerous strikers in the lighter weight classes when he found himself on the winning end of a one-shot knockout over Texas top-prospect Patrick Ybarra. Albuquerque’s Page is on his way down to the 125-pound weight class where he will not be undersized and if he could translate his power ten pounds lighter, will become arguably one of the hardest hitters at the weight class in the world. Tomorrow night, Page will go half way to Flyweight when he takes on Matt Lozano (4-1) in a catch-weight bout to be contested at 130-pounds. The fight holds a lot of significance for Page as his window to get back to the UFC closes a tremendous amount if he takes a loss against the less-experienced Lozano. The Flyweight division in the UFC is still very wide open and in need of new top talent and Page may be on the fast track to that level with a win. In Lozano, Page will face something that has plagued his entire career. 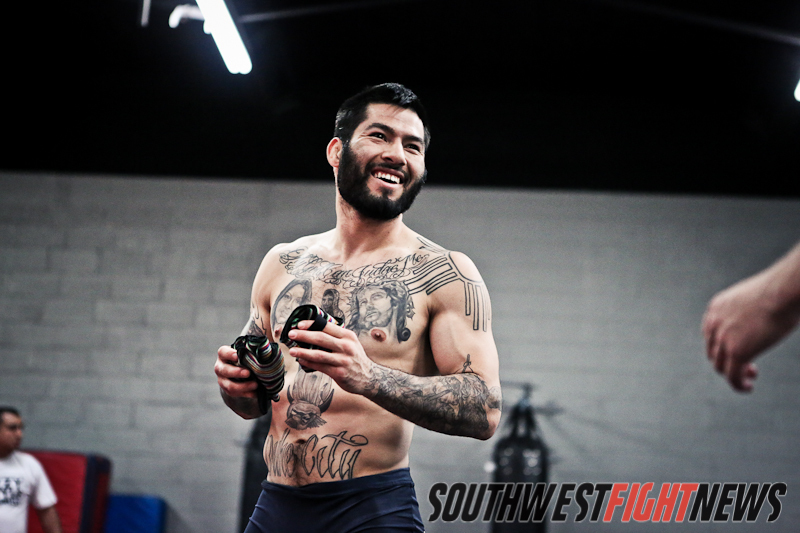 Lozano is a submission ace and recipient of TXMMA’s “Submission of the Year” in 2013; Page has lost seven of nine career defeats by way of submission. Page will enjoy the striking advantage and will need an emphatic victory tomorrow night to keep to his path of returning to the UFC. The very talented Hunter Tucker will look to get back on a winning streak and emerge as a fighter who is ready to break out of the regional circuit. The time is now for one of Jackson-Winkeljohn’s top prospects to emerge and stand-out from the rest of the regional talents. Hunter Tucker (6-1) has long been considered one of the state’s premier prospect talents and he will have an opportunity tomorrow night to take that next step in his MMA career. Tucker started his career 9-0 (5 professional wins, 4 amateur wins) and made his mark in the Jackson’s MMA Series and Bellator MMA promotions. This fight screams redemption for Tucker as he would suffer his first loss last year under the Legacy FC banner back in April of 2013. While he would pick up a win six-months later, Tucker is in the same exact position as he was before his first career loss. Tucker will take on Damon Jackson (7-0) in a 145-pound Featherweight bout on Friday night and just like his fight against Kevin Aguilar, Tucker draws a top prospect from Texas with an undefeated record. Tucker is a well-polished striker who has very mature transitional striking skills compared to loads of fighters of his experience level. While Tucker’s ground game is also very impressive (four professional submission victories), his opponent Jackson is also very able to end the fight via submission with five of his own submission victories. Being that both fighters are very able from grounded positions, this match-up has the wiring for a tactical and exciting stand-up fight. A win for Tucker may be his ticket to a premier fight and as the co-headliner of the Legacy FC event, the spotlight will be on these two fighters where the winner will take a huge step up from where they currently stand. A bit of an unknown, Phil Hawes will have the opportunity to change that and become a recognized top prospect within the MMA ranks. Many people may not recognize the name as Hawes has not fought locally but does spend his training camp with the Jackson-Winkeljohn fight team. An imposing figure who is dangerous everywhere within the cage, Phil Hawes is expected to make his professional debut at Legacy FC 28. 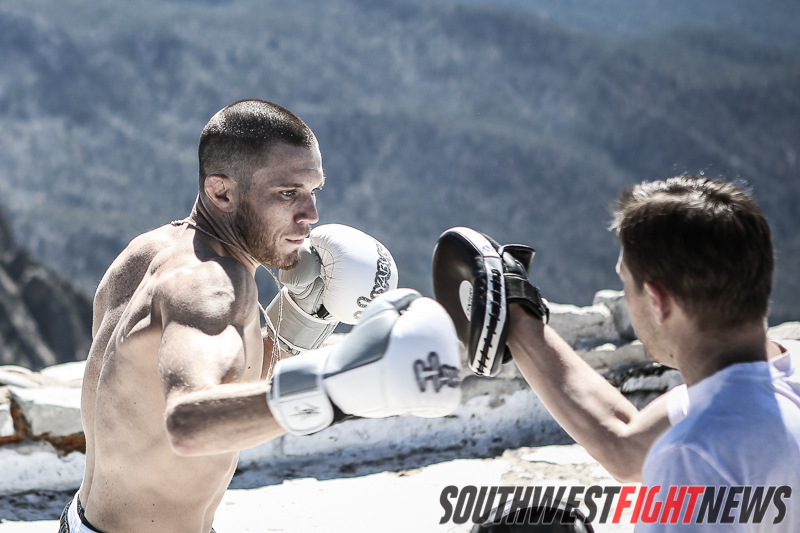 While an opponent is yet to be confirmed, the pro debut of Hawes should be met with high anticipation. 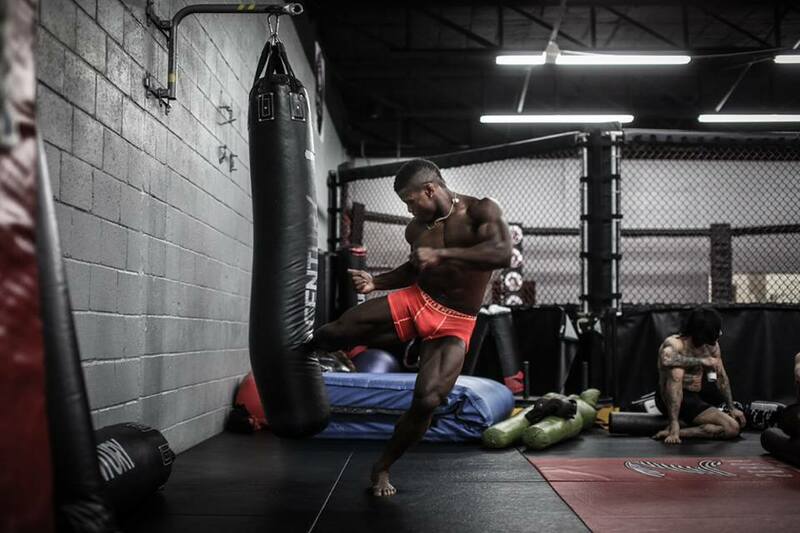 While he is an amateur fighter barely turning professional, Hawes is a training partner to perennial UFC top contender Carlos Condit amongst other top names within the gym and he is considered by so many as a fighter with an unlimited potential ceiling. Hawes is an accomplished wrestler who possesses powerful takedowns and strong body locks; what makes Hawes even more dangerous is that his striking level is also very high making him a handful regardless of the game-plan. Hawes had a successful amateur campaign where he mixed up victory methods between knockouts and submissions. Hawes works a crisp jab to set up his very powerful striking arsenal and if he decided to work the wrestling game, then his top grappling is dominant and his ground striking is smothering. In his amateur bouts, Hawes would use his ground striking to either force the stoppage or find a way to sink in a submission. Hawes will be a handful for anyone on the regional circuit and win on Friday night will announce his presence as a prospect to keep your eyes on. Stay tuned to SWFight for event coverage, bout results and post-fight analysis. Join us in sending our best wishes towards our three locally trained fighters and make sure to tune in to AXS.TV to watch the fights. For more information, check out the Legacy FC website!